Brunswick's Hughes completes MHP line-up, MSL gets consumer MD, Pollen Street hires Boscobel, and more from PRWeek UK. Oliver Hughes (pictured) will join MHP Communications as head of capital markets on 12 March. He has been at Brunswick Group for the past 12 years, latterly as director. At the same time, MHP has promoted Andrew Jaques to the role of executive chairman of capital markets. According to an MHP release, Hughes' appointment "marks the final stage of CEO Alex Bigg’s shake-up of MHP’s senior team". Following his arrival in late 2016, the agency has made several senior hires including deputy CEO Nick Barron, head of financial services Mike Robb and public affairs leads James Gurling and Jamie Lyons. New brand lead Gemma Irvine, an internal hire, was the most recent appointment. Andrea Donovan has been hired as MD of the UK consumer practice. She joins following 11 years at Red Consultancy, most recently as acting MD of its consumer tech and entertainment arm, Play. She will be supported by Simon Condon, who is being promoted to deputy MD after six years at MSL. The agency's UK co-CEO Jason Frank said the division grew 20 per cent in 2017. 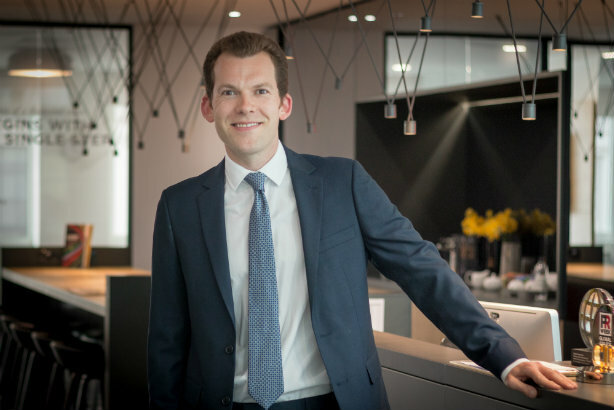 Private equity and credit fund manager Pollen Street Capital has hired as its comms adviser Boscobel & Partners, the agency set up in 2015 by ex-Maitland partner George Trefgarne. The new mandate extends Boscobel & Partners' existing financial PR brief with P2P Global Investments, the specialist credit investment trust managed by Pollen Street Capital. A trio of former Midas PR staff has formed Colour PR, a new creative, entertainment and leisure sector specialist. Daniel Freeman, Zekra Rahman and Liz Mallett will head up Colour PR as the founding directors. Rahman and Freeman had been with Midas for nearly eight and seven years respectively, while Mallett had joined in 2016 after a career in publishing. Matthew Peliter has joined Brands2Life as head of film, working in its in-house branded content business. He previously worked for Global Radio's commercial video team. Tech specialist Octopus Group has been hired on a UK PR, content and campaigns brief by Lane4, an HR and management consultancy focusing on people performance. George Kotsolios has joined Geneva-headquartered Leidar to lead its new Dubai office. He previously worked for Dubai conglomerate Al-Futtaim as PR lead, and before that was joint MD for Golin MENA.